I struggled to put on my game face each morning, to slog through math lessons and spelling corrections and sentence diagrams when I really wanted let my kids go play. Every February, I wonder whether I’m really serving my children (or me) by homeschooling. I’m struggling with the calling to homeschool. Not only that, sometimes all the writing and working and researching and creating feels like it’s leading nowhere. I wonder not whether I’ve heard God but whether it’s going to really work out. It’s hard to faithfully follow when there’s no divine fast track. I’m struggling with the calling to write. 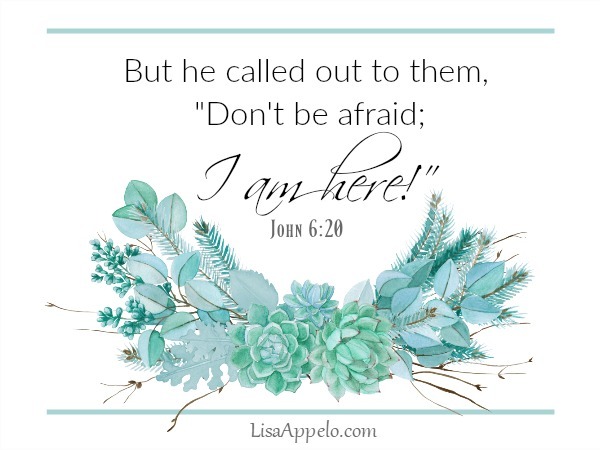 And while I know struggling is part of our walk with Christ, that it’s typical in God’s callings and that He shapes us through struggle, it still leaves me weary and wondering. This week, as I read in John 6 of the disciples’ struggle crossing the Sea of Galilee, I felt like I was in the boat with them. While they were struggling against the wind and waves of a Galilean sea, I was straining at the oars in my own life. You may be familiar with this story. The disciples got into a boat while Jesus withdrew alone to a mountain. As the disciples rowed across the lake, a fierce squall arose, tossing the boat. Looking up, the disciples saw Jesus walking on the water toward them and were terrified. John gives us the bare bones of this story, but Matthew and Mark add some telling details that teach critical truth about how we believers should see struggles in our calling. First, Matthew notes that Jesus made the disciples go ahead of him in the boat. Jesus not only knew the disciples were in the storm, but sent them into it. He could have gone with them. He could have had them wait till morning to avoid it altogether. But instead Jesus sent them out knowing they’d encounter a storm. 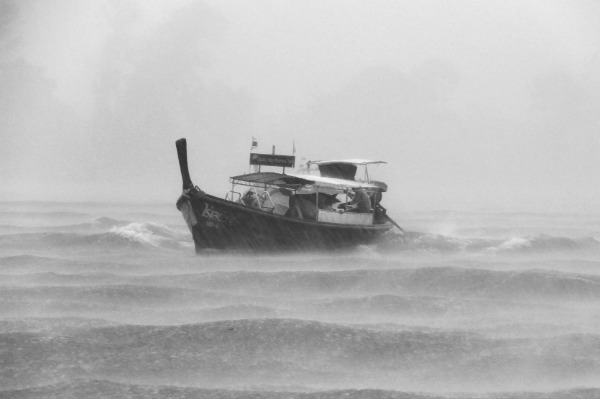 Struggling against the wind and waves of the sudden storm was precisely where Jesus wanted them. Second, Mark tells us as Jesus was praying on the mountain, He saw the disciples straining at the oars. Jesus wasn’t in the boat with them, but He sure saw them. Difficulties and setbacks can cause me to wonder where God is in all of this. Why can the path of a calling feel so adrift? Like there’s no real progress? Jesus may feel far off, but the truth is that He sees every bit of our struggle. Finally, Mark says it was the fourth watch of the night when Jesus came to them. The fourth watch is from 3:00 a.m. to 6:00 a.m. They’re the darkest and coldest hours of the night, just before dawn. A friend once laughed as he said that God is never late — but He’s rarely early. How many times, after waiting and struggling, have we seen God finally move in the fourth watch? God will allow our circumstances to go way beyond our margin so that when He moves, He alone gets the glory. Following God’s calling does not mean it will all be smooth sailing. In fact, Jesus said in this world we will have trouble. Our struggle can be precisely where God wants us. God may let us strain against the oars before He moves. Every one of those 12 disciples in the boat, struggling against the storm, had been called by Jesus. Their calling was sure. In the same way, our struggles are never a reflection of whether God has called us. Struggles may leave us weary and wondering how God is working. But struggles as we follow God can be the mark of His sure calling. P.S. You can download this month’s free scripture cards for 100 Days with Christ here. You can learn more about the FREE 100 Days with Christ Bible reading plan and journal and get your copy here. The one thing good about being under the weather today is being able to catch posts fresh off the press. I know what you mean Lisa. We don’t know what our “it” is He has for us but we know “it” is good because God is good! I’m sorry you’re not feeling well. There’s a lot going around. 🙁 So thankful we can stake our life on God’s goodness. Paris Renae, thank you for your encouragement. Truly we cannot see what God sees when we’re up to our elbows in the grit and grind of the work. But I am thankful for the opportunity to homeschool as long as God directs that path. The struggle has been severe this week as I am battling full-blown menopause at age 46! Truly, it is difficult. Thank you so much for the encouraging post. That’ll do it! Ugh with you, friend, and praying that the struggle clears for you. I’ve always wanted to be a homeschool mom who gets to actually be home with her children all day. I can imagine you grow weary at times. I do too, because I have squeeze in my homeschooling in between work. It’s hard some times. And the struggle to write, wanting to know if it’s making a difference I get that too. May I encourage you to keep going, just where God has you. He will bring you through. For those He calls He equips. Wow, my hat is off to you Barbie! Thank you for your encouragement. What a great word, Lisa! Although I wanted to, I was never able to homeschool. However I certainly understand overload, doubt, and frustration. Struggling along with you, my friend. Yes, it’s no respecter of persons, Julie. 😉 Thank you, friend. Betsy, you’ve given it a new perspective for me. So glad you can confirm this after many years following Jesus’ call for you all! I’ve definitely been in these places of struggle too. It’s hard to understand at the time. That’s where faith has to come in, but that’s actually when faith grows the most, often unseen until much later. You really are an inspiration! I pray that God will wrap his arms around you and bring you gently through and give you rest. I also loved the stories of Jesus and the disciples on the lake at night. They had heard how many demon possessed people already declare that He is the Son of God, and they had seen a myriad of miracles, but in the middle of the storm or when they thought they were seeing a ghost, they still panicked. Fortunately, God is patient, and God is love. Praise God that He is so good to us! Absolutely love this. In fact, I just forwarded it to Joel. I believe it’s a God word for his situation. Thanks Lisa! Love you dearly, my friend. Great truths! I’m pinning on my “Posts Worth Reading” board and sharing! Days like those really can make me feel invisible. They leave me wondering why God isn’t helping me, but thanks for the reminder that He sees.